A tough and reliable street-legal vehicle from the industry leader in electric vehicles. 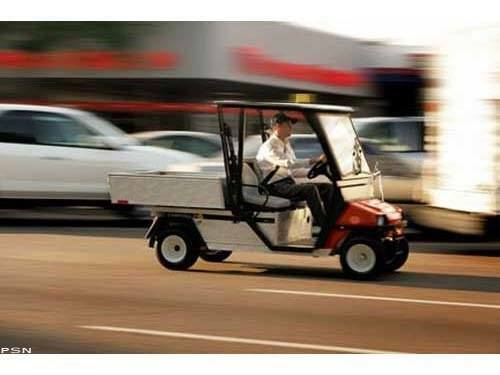 This Low Speed Vehicle (LSV) features a powerful AC drive system and a nearly 1/2-ton vehicle capacity, making it easier than ever to go green. Road legal certified Low Speed Vehicle (LSV) with a 25 mph top speed. Rugged 21 peak hp electric AC drive system is powerful and green. Automotive style 4 wheel hydraulic brakes, front disc / rear drum.